The Greater Washington region is the second largest region in the country for employers seeking IT workers. As the need for qualified tech talent rapidly grows, organizations are getting creative in sourcing tech talent and are turning to Veterans to fill tech positions. The VEI provides support to NVTC member companies in their efforts to recruit, hire, train and retain qualified Veteran talent. 99% of employers surveyed who hired a Veteran said they recommended that other firms do so as well. 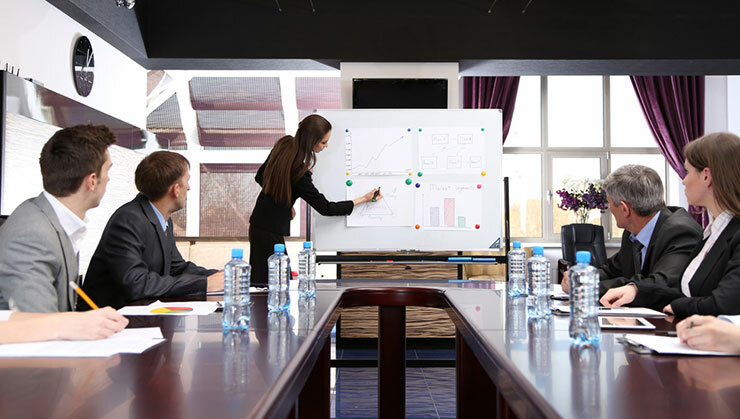 Veterans and their unique technical skill sets, leadership and teamwork skills can provide your organization with a competitive advantage. The VOW to Hire Heroes Act provides tax credits of up to $9,600 to businesses that hire vets. 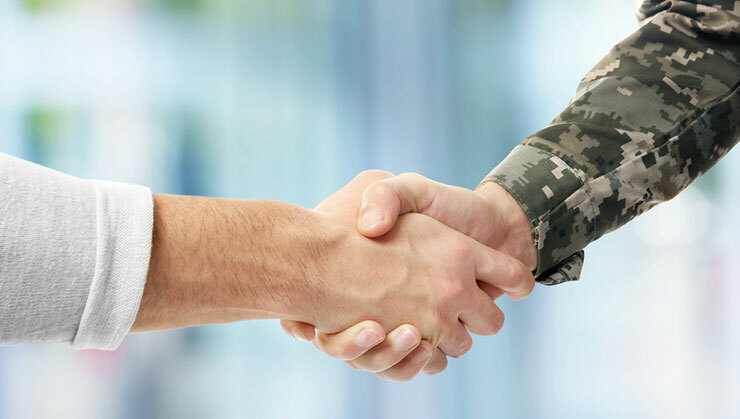 Here are 10 more reasons your organization should hire a Vet! USTechVets.org, the Nation’s Largest Veteran Resume Database! Access over one million Veteran and military spouse resumes on USTechVets.org, an online career support community designed to connect Veterans and their spouses to employment opportunities in the technology sector. Join the over 650 corporate recruiters already utilizing the site. Start posting open positions and connecting with highly-skilled Veteran and military spouse talent! You can also search the resume database and utilize the site as a recruiting tool to attract and compare top candidates. The recruiting tools on U.S. Tech Vets are FREE to NVTC and CTA members and job postings are unlimited. If your organization is an existing Monster.com account holder you can also select to post your Monster.com jobs to USTechVets.org. The site also offers functionality to take jobs posted on your organization’s website and automatically upload them to U.S. Tech Vets. Help launch a student Veteran’s next career! 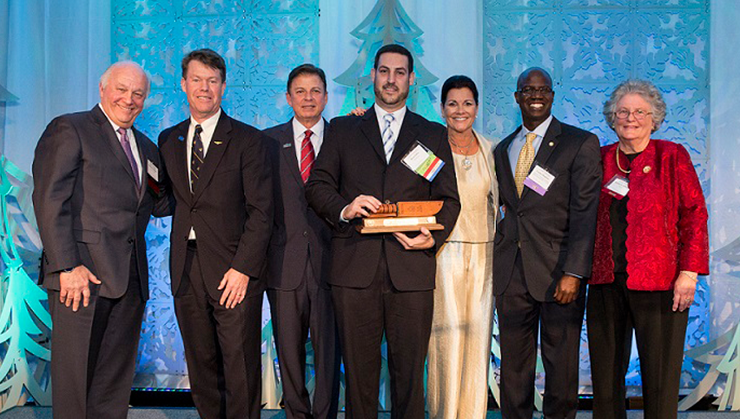 VEI Scholars provides student Veterans from 14 NVTC member colleges and universities with professional mentoring and meaningful work-based experiences at NVTC member companies. Deepen your organization’s connections to the academic community through the VEI Scholars Program. To start the process, identify your skillset needs and submit your internships to the VEI’s job board at USTechVets.org. Post-secondary institutions in the Greater Washington region will then partner with the VEI to identify student Veter­ans in a variety of educational programs, such as business and project manage­ment, engineering, applied skills, data analytics, cybersecurity, IT, software devel­opment and healthcare. Your organization will be matched with a student Veteran based on your organization’s skillset needs. Contact Steve Jordon for more information. Connect with top Veteran candidates at VEI Recruiting Days! The VEI partners with the Military District of Washington (MDW), Virginia Department of Veterans Services, Virginia Employment Commission and Veteran support organizations to host recruiting events to match Veteran-friendly companies with Veteran and military spouse job seekers. Unlike traditional job fairs where candidates circulate to employer tables, our events are uniquely designed to personally connect employers with small groups of Veterans in a round-robin format. 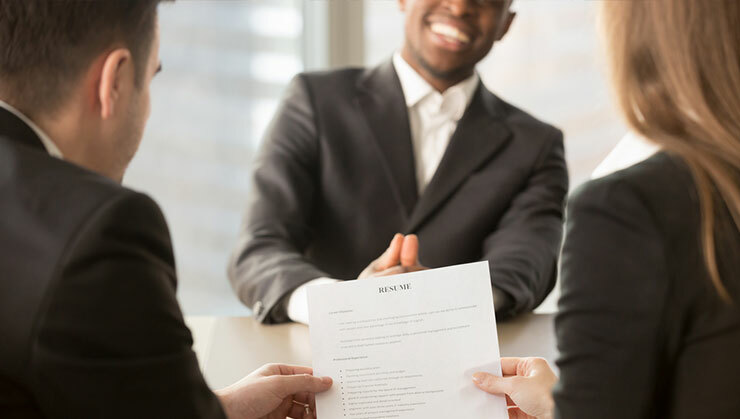 Recruiters present their companies and job openings directly to the jobseekers in 15-minute sessions, enabling more efficient networking and interviewing. Contact Steve Jordon to participate in an upcoming Recruiting Day or view the event list. Get Trained on Best Practices for Recruiting and Developing Veterans! The VEI has made educating companies on best practices in recruiting, hiring, training and retaining Veterans a top priority. 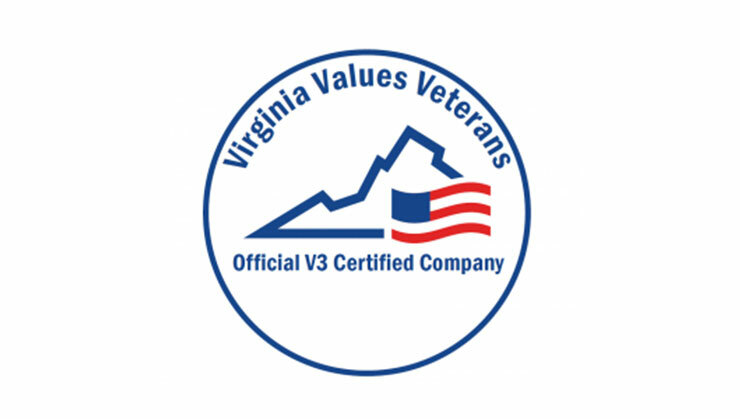 That’s why the VEI has partnered with the Virginia Department of Veteran Services’ Virginia Values Veterans (V3) Program to provide Veterans workforce best practice education to corporate talent acquisition teams. The V3 Program has helped hundreds of employers throughout the Commonwealth better understand the Veteran talent pool, and effectively trained them on current best practices for recruiting, hiring and retaining Veterans. Thousands of career-seeking Veterans have looked to V3 companies as they search for organizations that value their knowledge, skills and abilities. The V3 Program educates trains, connects, and certifies its companies at no cost to the employer. Contact V3 Northern Virginia Program Manager Rick Ferry to learn more about getting certified and upcoming trainings. NVTC works collaboratively with organizations serving the Veteran community, including the Department of Veteran Affairs, Virginia Department of Veteran Services, Virginia Employment Commission, and regional workforce investment boards such as the SkillSource Group. In addition, the VEI has partnered with the numerous National Capital Region military commands and various Veterans Service Organizations to promote VEI and its programs and services to our military community. The NVTC Veterans Employment Initiative will continue to seek out partnerships with Veterans Service Organizations that are tasked with serving Veterans on a day-to-day basis and can promote the Initiative and its programs and services to their constituents. Contact Steve Jordon to learn more. 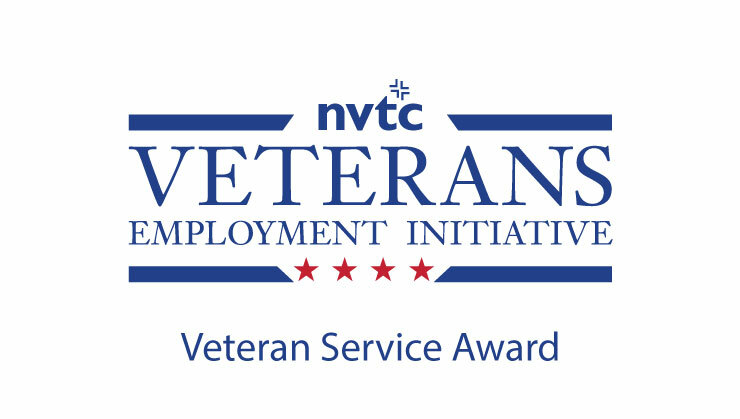 The VEI Veteran Service Award, sponsored by Monster.com and Military.com, recognizes NVTC member companies who have demonstrated a superlative level of engagement with the VEI and support for the Veteran and military community. Congratulations to 2017 VEI Award Winner PRISM Inc.! Learn more about the VEI and its mission and impact in the videos below.